It''s WrestleMania season, folks. And while the latest issue of WWE Magazine is full of ''Mania coverage and exclusive Superstar interviews to get you as close as possible to the Show of Shows, it could provide you with actual tickets! 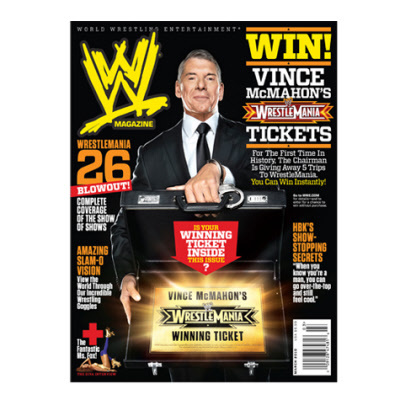 The usually tight-fisted Chairman is giving away five free WrestleMania tickets to readers of WWE Magazine. Does your issue contain one? If not, you can enter for a chance to win online. Good luck, and we hope to see you in Phoenix!